The trade turnover between Russia and China has increased by one third, and it could reach $ 100 billion by the end of the year. This statement has been announced today at the international forum "Russia & China: Challenges and Prospects for International Integration", which takes place in Moscow. "You know, there is a good Chinese expression which means" step by step, we will reach the goal, "said VitalyMonkevich, the president of the Russian-Asian Union of Industrialists and Entrepreneurs. Step by step, Russia and China are strengthening cooperation. The trade turnover has already exceeded 90 billion dollars. These figures are higher by third, compared to the data at the beginning of the year. Further, it is more interesting. It was said at the forum in Moscow that investments would come after the trade caravans. Most of them, of course, will be connected with the global international project "Silk Road". "Russia plays one of the central roles in creating a strategy for the development of the Silk Road. And in this case, the political and strategic relations between these two countries play a huge role, as well. Russians are people that are close to us. Therefore, we believe that the main lines will be related to the development of Russian-Chinese relations and the construction of various infrastructure projects, " Wang Wen, the Dean of the Institute for Financial Studies at the People's University of China, said. 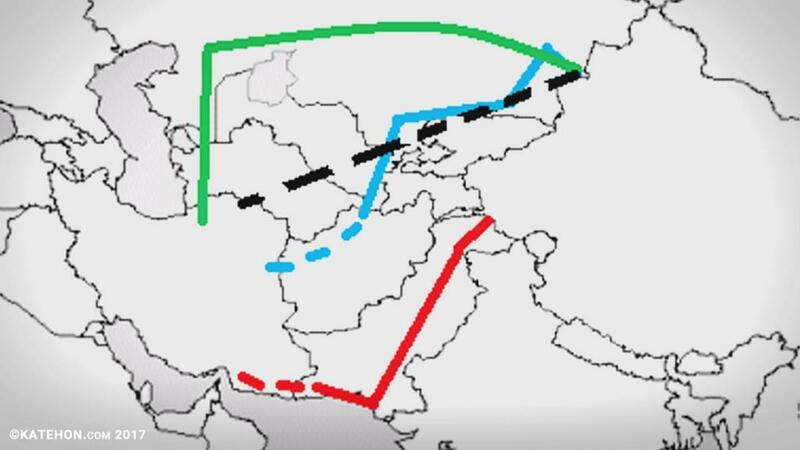 The modern Silk Road is a road for the delivery of goods from China to Europe. The project is expected to be accompanied by the construction of a number of infrastructure facilities that promise development to countries along the trade route. The task for the next decade is to increase the inflow of Chinese investments to Russia up to $ 30 billion. Interesting and mutually beneficial projects are important but more important is to comprehend the mysterious Russian soul, which businessmen from China are eager to understand. "They are speaking about the mysterious Russian soul. We are mysterious because we are incomprehensible, we are closed for the whole world. And I believe that we and Chinese are very close because we are dissimilar to another world. The more transparent we are to China and other countries, the more they will invest in the Russian Federation, " Vitaly Monkevich said, the president of the Russian-Asian Union of Industrialists and Entrepreneurs. The political establishment of the United States Actively is actively against investing in the Russian economy. The proof of this is a fresh package of sanctions and anti-Russian hysteria, which is only increasing, which many experts regard as preparation for freezing Russian assets invested in US government bonds. Nowadays, the volume of Russian charity is estimated at 105 billion dollars. "If you are marinated for a long time, then they want to cook you. The freezing of assets is an exceptional measure. In order to justify the application of exceptional measures, it is necessary to raise the degree of information and political hysteria very high. And we see that it is rising. Accordingly, what we see is an informational and political preparation for the adoption of harsh systemic measures that have already provoked a suffocating effect in the financial sphere, "Mikhail Remizov, the president of the National Strategy Institute, said in his interview to us. It was said at the forum in Moscow that it was important for Russia and China to join forces to conduct a financial war against the United States. However, not only the political elite, painted in the patriotic colors of the United States, is against but also some representatives of the Russian government and the Central Bank, are opposed, as their aim is not the growth of the well-being of the population, but the beautiful figures of inflation. "This model of" targeting "inflation has nothing to do with targeting matter. This is a model that assumes that you only need to manage one option. Choose an option is what we are told from the Monetary Fund. It's like driving a modern car, where you are told that you either steer the wheel, or press the brake with gas – but do nothing more, " Sergei Glazyev, the economic expert, said. And if the Russian financial and economic elite keeps hitting the brakes of the domestic economy, people from the Middle Kingdom are ready to share with our country the secrets of the Chinese economic miracle, which allows keeping the growth rate two or even three times higher than the world’s average ones for already 30 years. The Chinese proverb says: a desire will pave the way to the sun on a rainy day. The 11th International Eurasian Integration Conference, organized by the Eurasian Development Bank, has begun in Moscow today, November 11th.